A root canal is an endodontic procedure necessary to treat the inflammation or infection of the pulp which is the soft tissue and nerves inside the tooth. 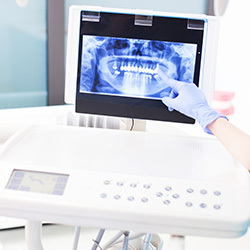 Inflammation or infection can be triggered by tooth decay, a chip or crack of the tooth that exposed the pulp or constant dental work on the tooth. If left unattended, it can cause severe pain or develop an abscess which can create further health issues. Some of the symptoms associated with an infection or inflammation of the pulp consists of: swelling, pain, tenderness, sensitivity to cold or heat, or the discoloration of the tooth. In most cases where these symptoms are present, a root canal procedure would be necessary to save the tooth. X-rays of the tooth and pulp test will be conducted by the doctor to confirm if the procedure is necessary. 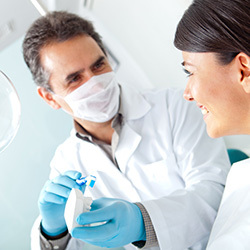 The root canal treatment consists of saving the tooth by removing the infected or inflamed pulp and nerve, cleaning the tooth and finally filling and sealing it. A crown will then be placed over the tooth to seal it and prevent further infections. 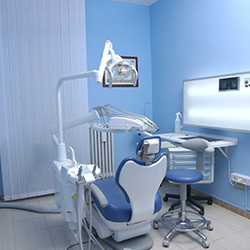 A dentist or endodonsist can perform the procedure which usually takes two appointments to complete. If you are in need of a root canal treatment please call us today at (215) 261-7003 to schedule an appointment and talk to our specialists.